This page is intended to provide general information to individuals planning to visit the United States temporarily. The purpose of the visit determines what type of visa will be needed. Visitors planning to visit or attend a meeting most likely will apply for a B-1 visa. For comprehensive B-1 Visa information please visit the US State Department’s Visitor Visa Website. RECOMMENDATION: Apply for visa no later than 90-days prior to travel, but ideally begin the request process six months prior. Foreign citizens traveling from certain eligible countries for visitor purposes only may be able to visit the U.S. without a visa through the Visa Waiver Program if they meet requirements, including having a valid Electronic System for Travel Authorization (ESTA) approval. Citizens of Mexico traveling to the US have the option to secure a Border Crossing Card rather than a B-1 visa. Additionally, citizens of Canada and Bermuda traveling for visitor purposes do not need a visa, with some exceptions. Applicants for visitor visas should generally apply to the U.S. Embassy or Consulate with jurisdiction over their place of permanent residence. Although visa applicants may apply at any U.S. consular office abroad, it may be more difficult to qualify for the visa outside the country of permanent residence. Visa applications are now subject to a greater degree of review than in the past so it is important to apply for your visa well in advance of your travel departure date. As part of the visa application process, an interview at the embassy consular section is required for visa applicants from age 14 through 79, with few exceptions. Persons age 13 and younger, and age 80 and older, generally do not require an interview, unless requested by embassy or consulate. Making your appointment for an interview is the first step in the visa application process. The waiting time for an interview appointment for applicants can vary, so early visa application is strongly encouraged. Visa wait times for interview appointments and visa processing time information for each U.S. Embassy or Consulate worldwide is available on the Visa Wait Times website, and on most embassy websites. Learn how to schedule an appointment for an interview, pay the application processing fee, review embassy specific instructions, and much more by visiting the U.S. Embassy or Consulate website where you will apply. A passport valid for travel to the United States and with a valid date at least six months beyond the applicant's intended period of stay in the United States (unless country-specific agreements provide exemptions). If more than one person is included in the passport, each person desiring a visa must make an application. after the visit to the United States. Visa applications are more likely to be successful if done in a visitor’s home country than in a third country. Include a letter of invitation from the meeting organizer or the U.S. host, specifying the subject, location and dates of the activity. 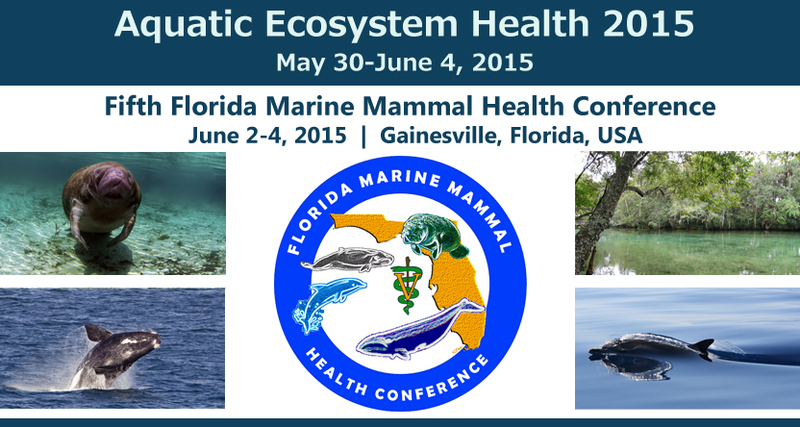 - If you require a letter of invitation for the Florida Marine Mammal Health Conference, please contact Patrick Thompson (thompsonp@ufl.edu) or Thomas Waltzek (tbwaltzek@ufl.edu) for an invitation letter. Your letter will be emailed to you as a PDF. Due to processing time and expense, hard-copy letters will not be provided. Provide specifics on how travel and local expenses will be covered. Provide proof of professional scientific and/or educational status (students should provide a university transcript). Nonimmigrant visa application processing fee - For current fees for Department of State government services click here. You will need to provide a receipt showing the visa application processing fee has been paid when you come for your visa interview. Visa issuance fee – If the visa is issued, there will be an additional visa issuance reciprocity fee, if applicable. Please consult the Visa Reciprocity Tables to find out if you must pay a visa issuance reciprocity fee and what the fee amount is. If the consular officer should find it necessary to deny the issuance of a visitor visa, the applicant may apply again if there is new evidence to overcome the basis for the refusal. For additional information, click here to learn more. In the absence of new evidence, consular officers are not obliged to re-examine such cases. A visa allows a foreign citizen coming from abroad to travel to the United States port-of entry and request permission to enter the U.S. Applicants should be aware that a visa does not guarantee entry into the United States. The Department of Homeland Security, U.S. Customs and Border Protection (CBP) officials have authority to permit or deny admission to the United States. If you are allowed to enter the U.S., the CBP official will determine the length of your visit on the Arrival-Departure Record (Form I-94). Since Form I-94 documents your authorized stay in the U.S., it’s very important to keep in your passport. In advance of travel, prospective travelers should review important information about Admissions/Entry requirements, as well as information related to restrictions about bringing food, agricultural products or other restricted/prohibited goods explained on the Department of Homeland Security, Customs and Border Protection website. Upon arrival (at an international airport, seaport or land border crossing), you will be enrolled in the US-VISIT entry-exit program. Health Insurance. Medical care in the United States can be very expensive. All visitors should carry adequate health insurance valid for the duration of their stay in the United States. Driving in the United States. Visitors who wish to rent cars must have a major credit card and a valid driver’s license from their own country. In some cases, an international driver’s license may be required. Contact the car rental company directly for specific information. Required Change of Address Notice. Visitors staying in the United States longer than six months must notify the U.S. government of any change in their residential address within ten (10) days or face serious consequences. Address notification should be made directly to the U.S. Citizenship and Immigration Services (USCIS) using their required form. Registration. Federal law requires that all non-U.S. citizens carry evidence of their lawful status with them at all times. This is especially important for all travel, international or domestic. It is advisable to keep copies of all pages of the passport, visa, I-94 Arrival-Departure card, and supporting documents such as DS-2019 forms, in a safe place in case of loss of the original documents.